Nestled in 40 acres of rolling board-fenced pastures, Five Forks extends its warm country welcome as it has for generations. The ca 1800, 3 bd/3ba farmhouse is complemented by stables, sheds, a hangar w/heli-pad, & a cottage overlooking the pond. 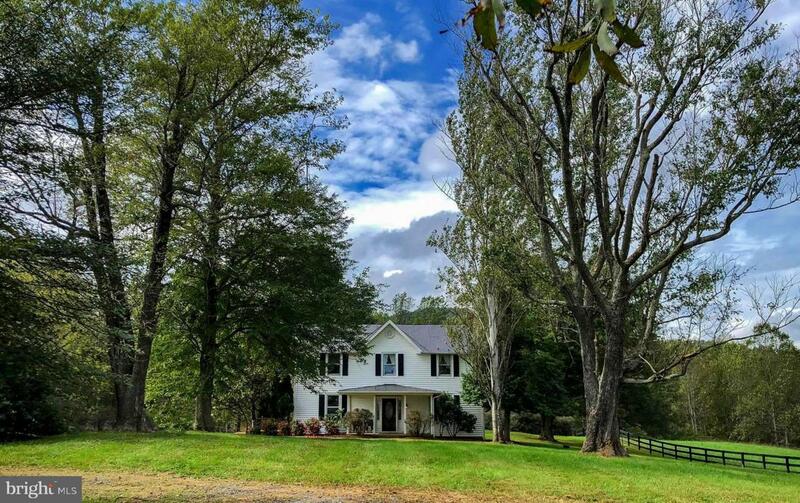 Very private, with fantastic ride-out potential, it is, yet, close to Little Washington and all the wonderful amenities that Rappahannock offers.